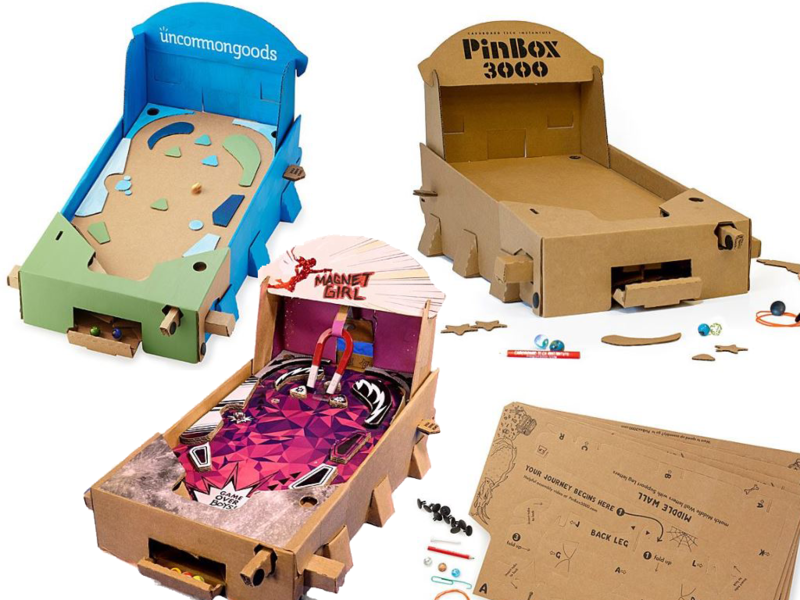 Build your own functional pinball game with this cool kit. Playing pinball is a lot of fun because it is a game that most people enjoy. Many people have great memories of playing pinball as a child so this is a great nostalgic gift. This kit comes with everything that you need to build your own cool pinball game. The game is rubber band powered and made mostly from cardboard. You will find it is a good project for anyone over the age of 13 because it only takes about an hour to build. A wonderful gift idea for a teen who likes cool DIY projects. You do not require any tools in order to build the pinball game because everything you need is included. Customizing it is a lot of fun because you can add ramps, obstacles, color or any other cool things you can think of. It is sure to provide many hours of entertainment. If you believe that recycling is important then this a cool idea as a gift or for yourself. This was designed using recycled shipping cardboard. The designers Ben t. Matchstick and Pete Talbot designed this in Vermont using shipping cardboard from Philadelphia. In addition these designers also create many other cool items. 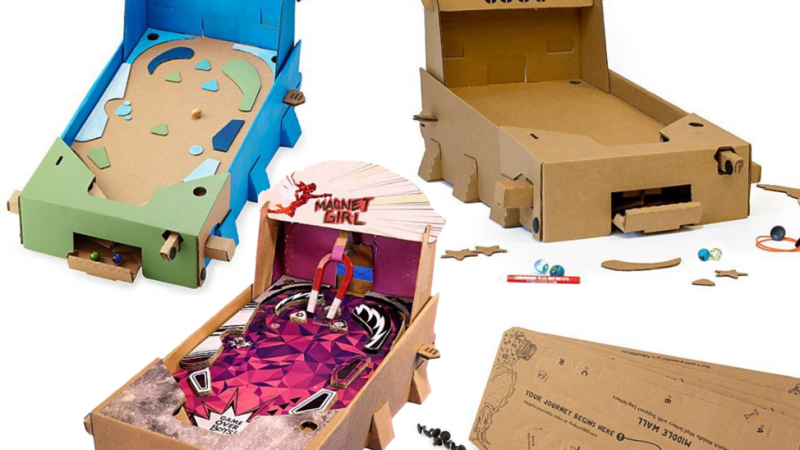 Their other items include cardboard sculptures, interactive puppet shows and comic books.